Following the announcement last week that a Blade Runner sequel is in the works, with Ridley Scott signed on to direct, there has been much ballyhooing about whether or not a Blade Runner sequel is a good idea, or even necessary, because this is the Internet, and if we didn't ballyhoo then we wouldn't know what to do. 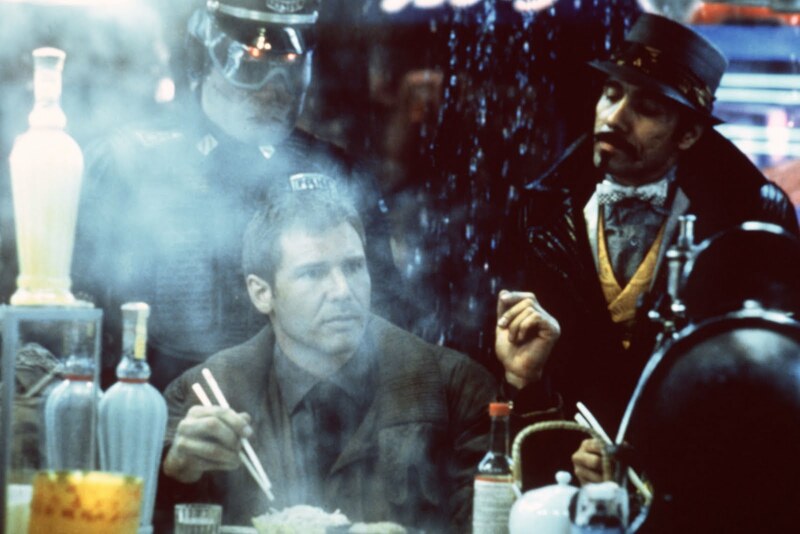 (If you want to read some discussion of the film that doesn't constitute ballyhooing, my friend Rory wrote a very good blog post about the potential that the world of Blade Runner has for further stories.) Leaving aside the fact that the sequel probably won't start shooting for another two years, during which time the whole thing could easily fall apart, or that Scott currently has a very long list of films that he is attached to direct that haven't yet come to fruition (like that Monopoly movie that has been "in development" for so long it feels more like a weird collective dream than a real thing at this point) before we see Blade Runner 2: Blade Runner-er, I think to dismiss the very idea of a follow-up out of hand is a little hasty. Prudent, but hasty. And, of course, Alcon have hired Ridley Scott, the man whose meticulous attention to detail allowed for the creation of that singular, neon-soaked vision of the future to come to life. It says something about the respect that Alcon have for the original - or, perhaps more likely, how keenly aware they are of the need to appease the fans if the film is to have any chance of being a success - that they want to ensure that their sequel shares as much of its creative DNA with its parent as possible. Whether or not this means that they will bring on either Hampton Fancher or David Webb Peoples, the writers of the original, remains to be seen, but if anything about this production should be cause for alarm, it's probably that they have yet to announce any writers at all, yet alone the involvement of the two people who were instrumental in giving Blade Runner the philosophical texture that has helped to make it such an enduring work. 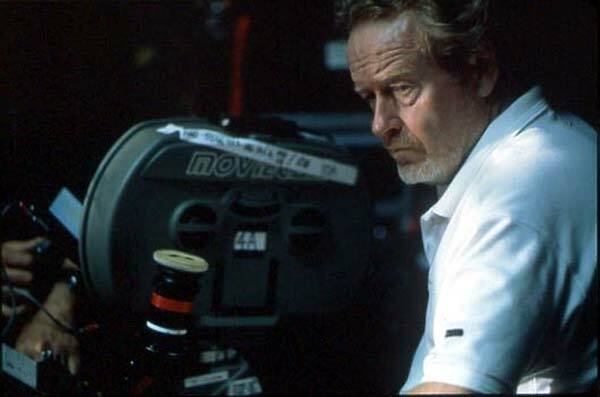 Ridley Scott has made some fantastic films over the course of his career. No body of work that contains Blade Runner and Alien, not to mention nearly great or iconic works like Black Hawk Down, Thelma & Louise and Gladiator, could be considered insignificant. I don't even like Gladiator, yet I can't deny that for a huge number of people it remains a cultural touchstone. Even his lesser (read: terrible) works, like his grim and desultory take on Robin Hood, or the overblown tedium of Hannibal, or the misplaced ambition of Kingdom of Heaven, are indicators of Scott's technical mastery as a director. My problem is not that he is a bad film-maker, but that he is a fundamentally different film-maker to the man who directed Blade Runner, and that for him to revisit that world now could be detrimental to both him and the resulting work. When film-makers return to their earlier work to continue a story they had told before, the results are overwhelmingly negative. For every Before Sunset or Toy Story 3, there is a Clerks 2, or a Phantom Menace, or an Indiana Jones and the Kingdom of the Crystal Skull. I could go on, and on. In a lot of these instances, the early films were made when the film-makers in question were young, inexperienced, but supremely talented, and were working on intuition and gut feeling in the face of terrible odds. Kevin Smith maxed out his credit cards and risked bankrupting himself to make a film with his friends which, realistically, had little to no chance of ever being seen by anyone, let alone becoming a keystone for a whole generation of independent film-makers. George Lucas was making a labour of love which everyone around him, including many of the cast, thought was nonsensical and destined to fail, not become one of the most successful and influential films of all time. Steven Spielberg was coming off the critical and commercial failure of 1941, and risked joining Michael Cimino in the Hollywood wilderness if he didn't deliver a hit, and couldn't have been further from being the behemoth that he is now. These are all stories of directors overcoming great adversity to create great works. When they returned to make subsequent films after a long time away, the characters remained the same, but they had changed. They had developed as film-makers, and so when they tried to replicate the feel of their earlier work, the resulting films came off as weirdly off, like watching them doing bad impersonations of themselves. Furthermore, they had achieved a level of success that meant that the obstacles that stood in their way the first time were no longer there, and neither was the drive to overcome them at all costs to realise their vision. No one could watch The Phantom Menace or Clerks 2 and say that the same passion and fire that drove their creators years before was still in evidence. They are works of men trying to capture lightning in a bottle a second time, and failing miserably in the process. The success of The Rise of the Planet of the Apes makes me wonder if perhaps it might be better for someone who, as in the case of Rupert Wyatt, reveres the original, but who would relish the opportunity to direct a sequel in their own way, to take the reins. Someone like Duncan Jones (director of Moon and Source Code), who cites Blade Runner as one of the seminal films in making him want to become a director, and who has already said that his next film will be a tribute to Blade Runner, might be a better choice, because he could bring a fresh perspective to the material, as well as a love and affection for the original that might prevent the film from becoming a feeble attempt to recapture past glories. This, I fear, is what could happen if and when Ridley Scott calls 'Action' on a Blade Runner sequel. In the years since Blade Runner, he has changed from the craftsman who spent years at a time working on each project (he made two films in the '70s, four in the '80s and four in the '90s) to someone who averaged nearly a film a year during the '00s, to varying degrees of success. He simply isn't the same film-maker that he was in 1982, and the temptation will be for him to try to replicate the work he did then, either to honour the original or just to placate the detractors. If he does, then the film will inevitably end up as the lifeless follow-up that so many people fear it will be. A mere replicant, one with the life of the original, but ultimately not the heart or soul.